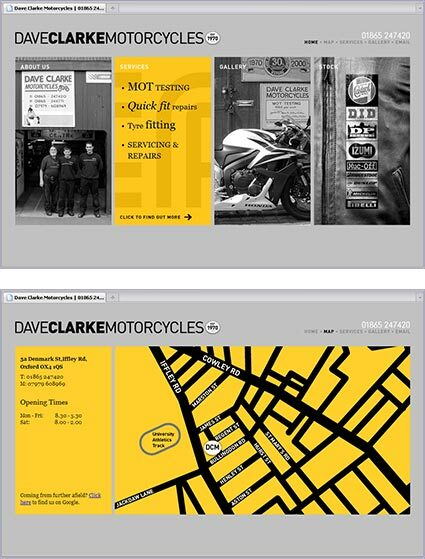 Update the DCM website; give visitors an insight into this unique family run business; use the rich history and culture of motorcycles to enrich the designs. This website was a collaboration with designer and motorcyclist Marek Gwiazda. Our first objective was to photographically document a day of comings and goings in the workshop. Using simple rollovers, the key business messages are all available on the front page. All the text on the site is short and to the point. It was the aim of the design to make finding information about the business as simple and direct as possible.